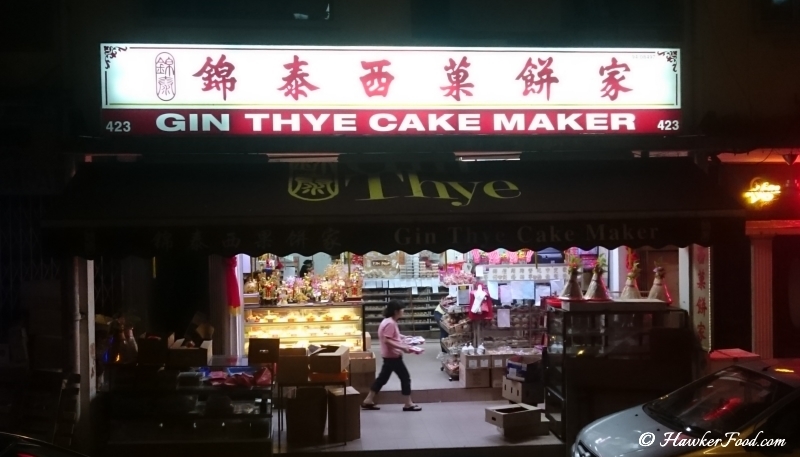 Gin Thye Cake Maker 锦泰西果饼家 is a Traditional Chinese Pastries and Cakes maker since 1964. 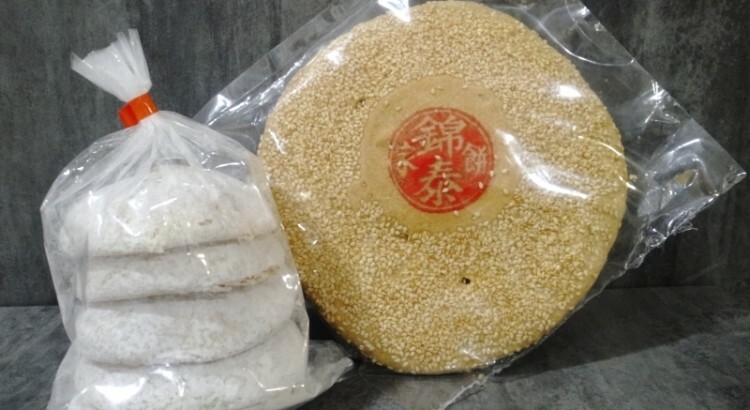 They are famous for producing high quality confection for various Chinese Festivities like Baby Showers, Weddings, Seventh Lunar Month (Hungry Ghost Festival), Mid-Autumn Festival (Mooncake Festival) and other festivities. 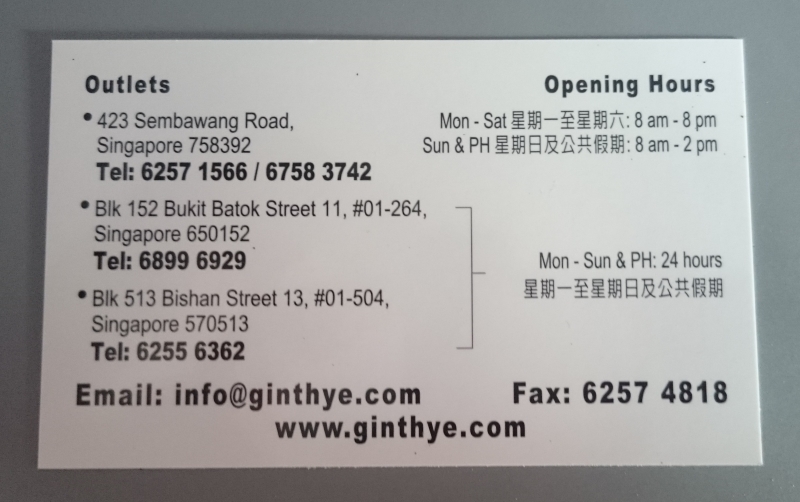 I visited the Sembawang outlet near to the 8pm closing time (other outlets as shown on the name card at the end of this post are 24hrs). At the storefront, I caught sight of some of the old-school retro cakes that I loved when I was a kid. 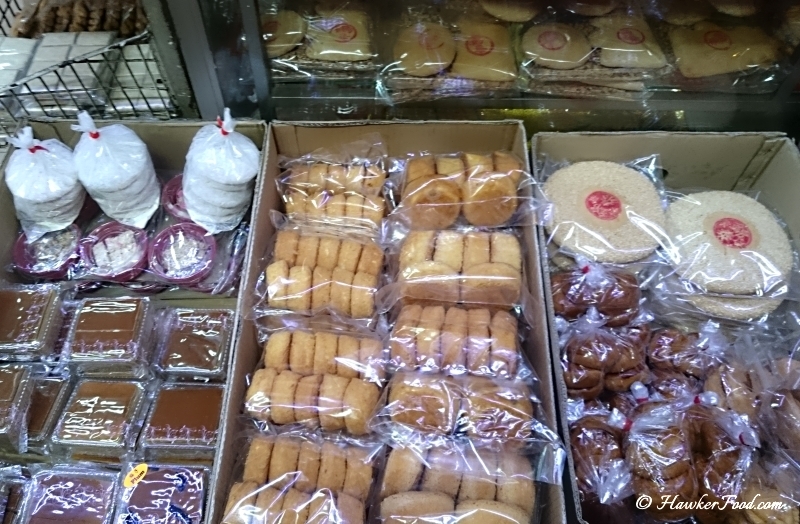 The packet of white cakes at the top left is a perennial favourite of mine till this day. As of time of writing, it is the Seventh Lunar Month, thus the above items are common sight during this festive period. 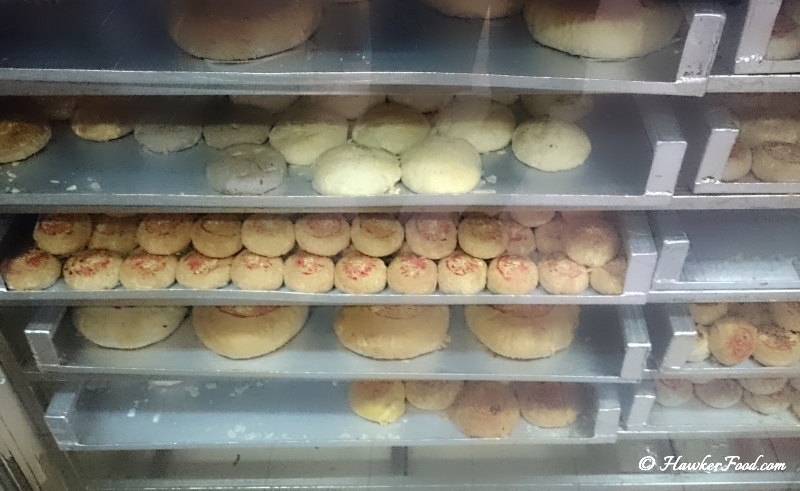 They have a plethora of traditional chinese pastries; seriously, there are so many that I do not even know all of their names but the usual suspects are always there. 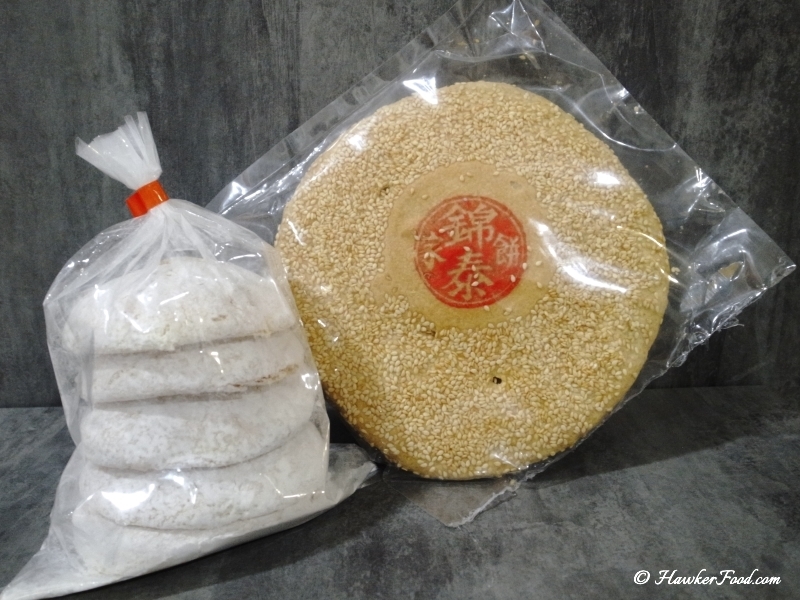 For example, 豆沙饼 – Tau Sau Piah, 老婆饼 – Lao Po Bing (Wife Cake), 老公饼 Lao Gong Bing (Husband Cake) and many others. 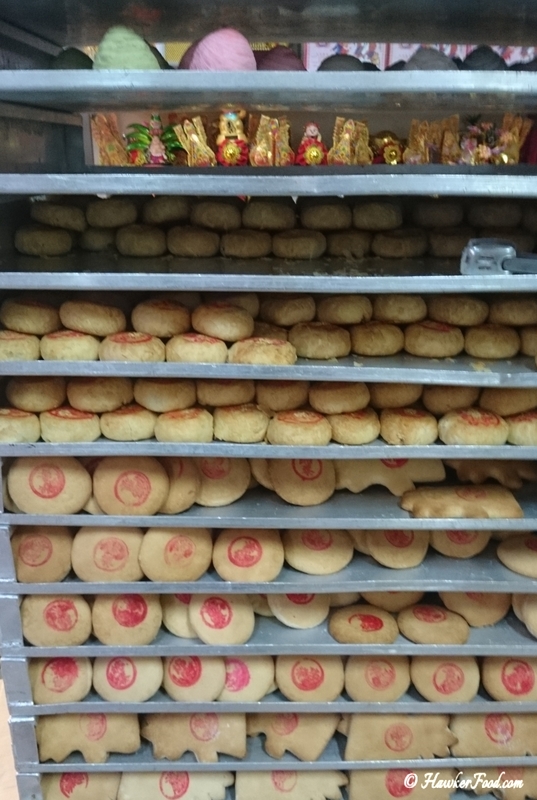 The bigger ones are usually used for Teochew Weddings. 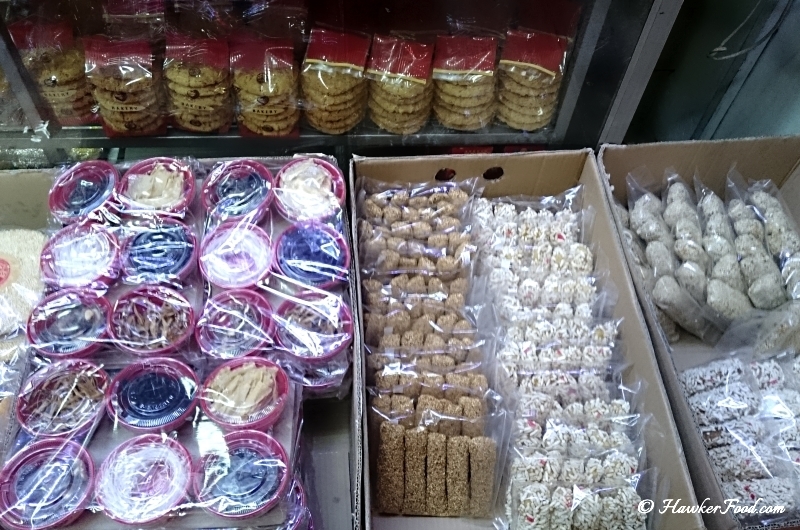 My vision went blur when I saw this, trays and trays of traditional chinese pastries. I tried the white cakes and finished all of them within two days! 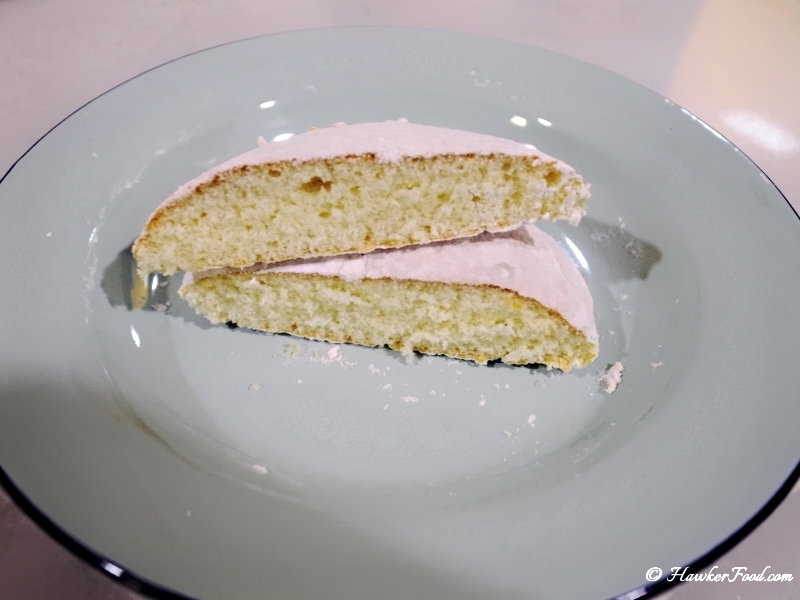 Basically it is just a simple fluffy cake with powdered sugar over it but every bite brings back the nostalgia of my younger years. You do not have to wait for special occasions like baby showers, regular birthdays or weddings to come to this shop. 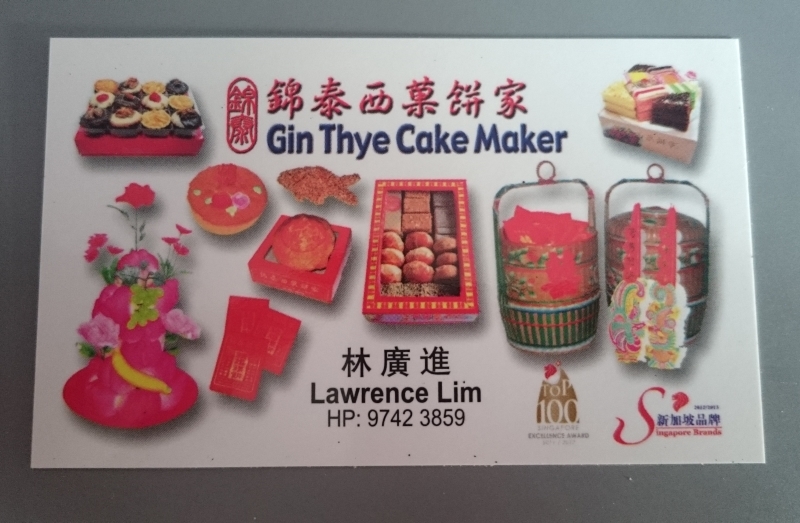 Just visit them for their traditional chinese pastries and I am sure you will be satisfied. Please refer to their website shown in the address section below for the latest update.